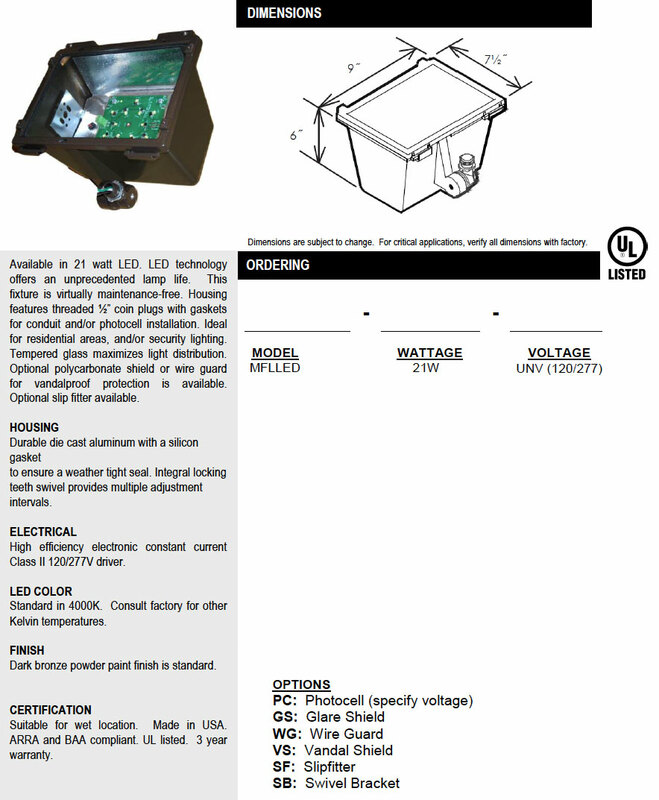 The MFLLED Mini-Flood Light LED Luminaire is available in 12W LED. Housing features threaded ½” coin plugs with gaskets for conduit and/or photocell installation. 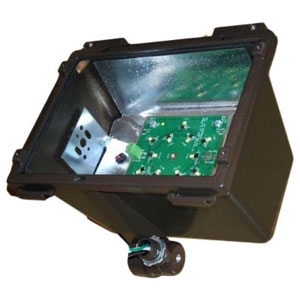 Ideal for residential areas, and/or security lighting. Tempered glass maximizes light distribution. Optional slip fitter available. A 12W LED is comparable to 50W HID. The housing is made of die cast aluminum for durability and corrosion-resistance. Call RLE for available custom colors.